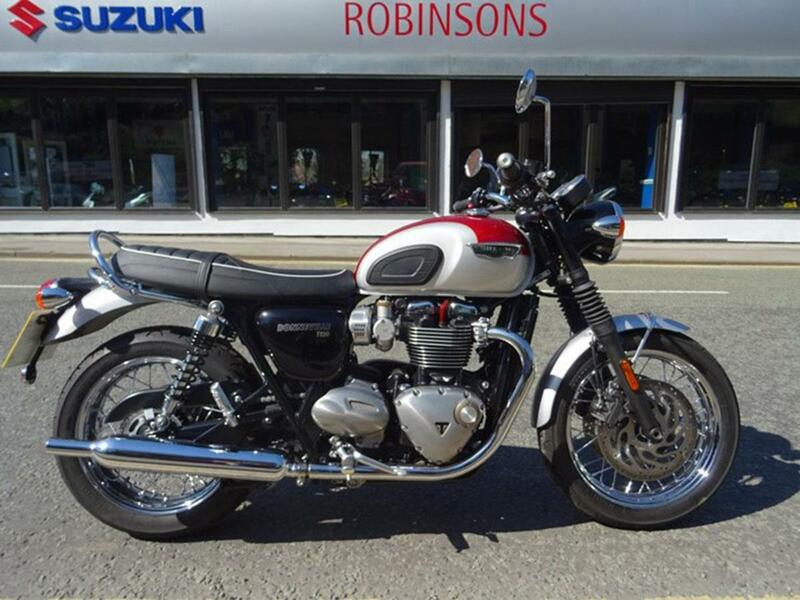 When it comes to iconic British motorcycling names, the Triumph Bonneville is one of the first that springs to mind. 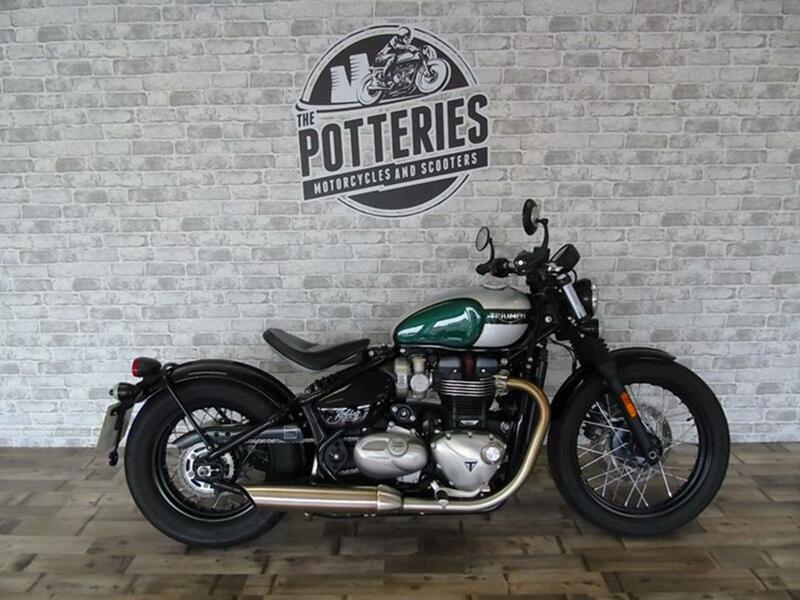 Named after the firm’s success at the legendary Bonneville Salt Flats in the United States, the bike has given its name to a range of motorbikes over the years including scramblers, cruisers and the fastest-selling Triumph ever, the Bonneville Bobber. With such a range of very different bikes available all sporting the Bonneville name it can be tricky to decide which one is for you, so here’s a list of our favourites all available now at MCN Bikes for Sale. Popular with new and experienced riders alike, this easy-going fuel injected upright offers character in abundance, alongside a comfortable riding position, and limitless retro charm. Triumph switched to a liquid-cooled, fuel-injected 865cc engine, but disguised the injection module as a carb and kept the cooling fins to give the appearance of a real classic. The low seat and easy-to-reach bars make the Triumph Bonneville 900 an ideal bike for an afternoon’s gentle riding through the countryside and sit the bike as a direct rival to Harley-Davidson’s 883 Sportster. 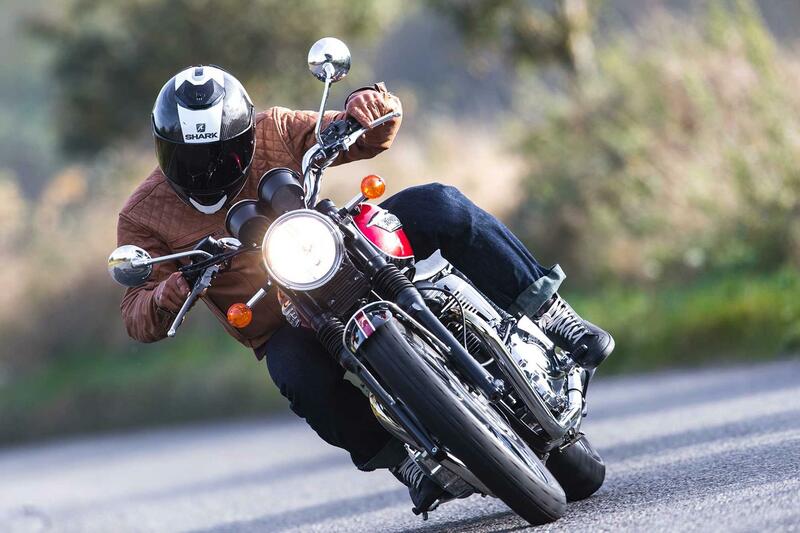 The Triumph Bonneville Bobber has been an incredible success since its launch. For the uninitiated, a bobber or ‘bob-job’ as it was originally called is a cruiser with as many superfluous parts as possible stripped off. A bobber is recognisable for its lack of front mudguard and short or ‘bobbed’ tail. To give the Bobber a soundtrack befitting a bobbed cruiser, Triumph gave the bike a 270° crank, rather than the standard Bonneville’s 360° one - translating to a more V-twin-like feel and sound. Smaller and lighter than the 1200cc Triumph Bonneville T120, this is arguably a more fun and engaging bike to ride and own. Originally launched to celebrate 100 years of Triumph and complete with wire wheels, tidy pea-shooter exhausts and just the right amount of chrome, you’ll feel like you’ve stepped onto the set of Heartbeat with every ride! Well-built and stunning to look at. What’s not to like? Based on the 865cc Bonneville lump, the Bonneville Scrambler is set apart from the rest of Triumph’s retro range by its striking side-mounted twin-pipe set-up. The Triumph Scrambler was based on the TR6C Trophy of Steve McQueen fame and still exudes cool chic even in this modern guise. The 2006 version used carbs and the 865cc engine adopted by the standard Bonnie, but with the 270-degree crank used in the America and Speedmaster versions. As well as looking the part, it is also delightfully user-friendly, thanks to its 765mm seat height and manageable power output. 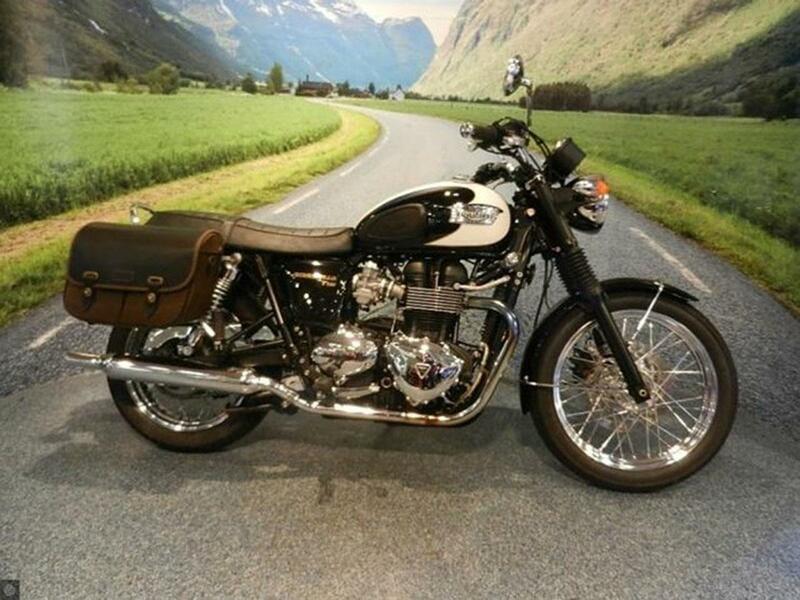 Don’t be fooled into thinking that a 1200cc engine makes the Bonneville T120 a performance machine. Smoothness, comfort and style are the hallmarks of the big-capacity Bonnie and it has them in spades. The added weight of the T120 means you get twin front discs to help you stop, and despite being set up for style rather than speed, you still get 79bhp to play with. 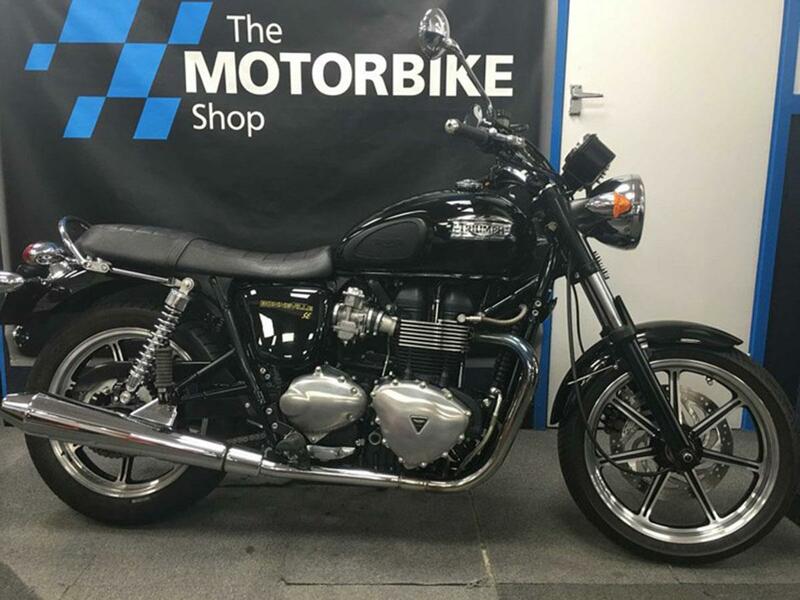 If you want to cruise along in coastal sunshine and stylish comfort, the Triumph Bonneville T120 could well be the bike for you. 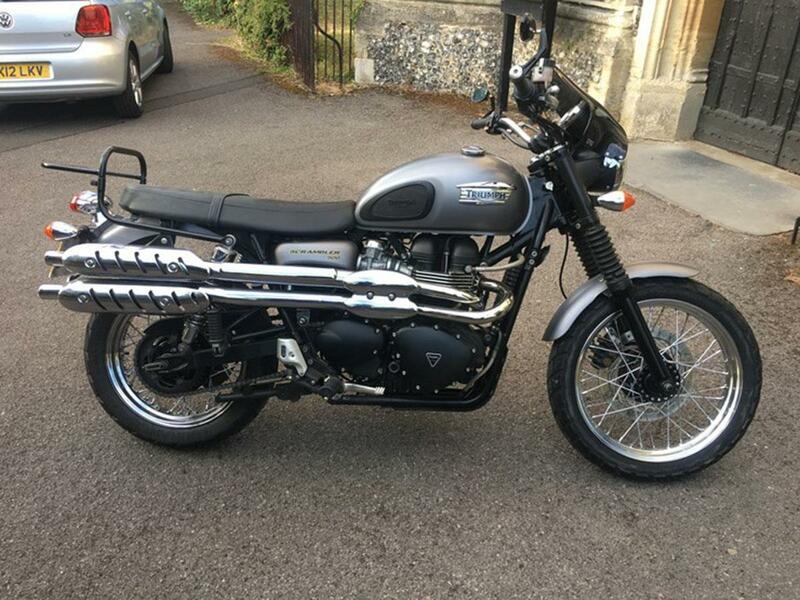 Find a Triumph Bonneville for sale.